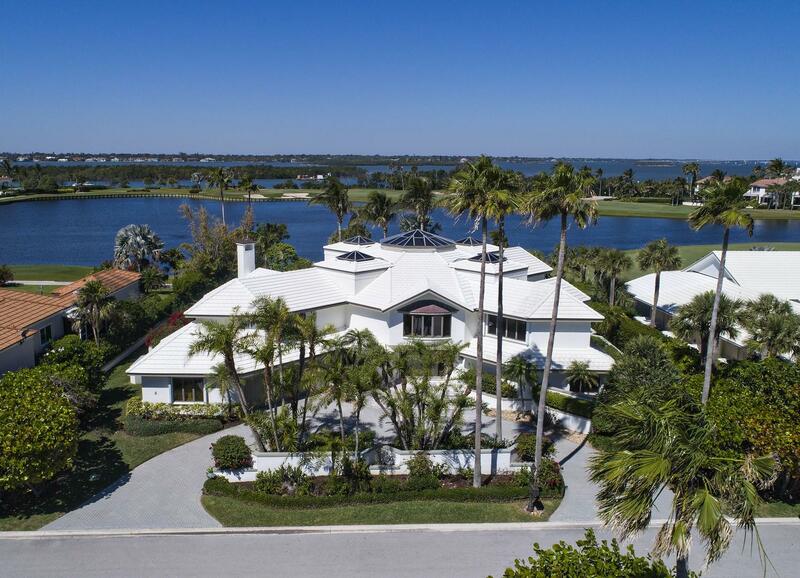 Public Remarks: Custom designed estate home with unrivaled views of three lush fairways, lake and sparkling waterways. Japanese cherry front doors open to reveal a unique interior design. Distinct areas of this home branch off from a central gathering room boasting an 18-foot wide octagonal skylight, four additional 12-foot wide, one-of-a-kind skylights and banks of clerestory windows inviting an abundance of natural light. Gourmet kitchen features stunning coffered ceiling, granite counters, center island with electric power, phone and USB ports, and breakfast bar. Top of the line appliances include Subzero refrigerator, Jenn-Air double ovens and warming drawer, wine cooler and ice-maker, all adjacent to family room with marble fireplace.